Morris Jasper Grizzle was born on 25 February 1927 in Mount Calm, Hill County, Texas. He married Norma Earle Whitfield, daughter of John Earl Whitfield and Ruby Lucille Mitchell, on 1 October 1948 in Hobbs, Lea County, New Mexico. Morris Jasper Grizzle became a widower at the 24 February 2007 death of his wife Norma Earle Whitfield. Morris Jasper Grizzle died on 28 August 2010 at age 83 in Lubbock, Texas, at Carillon VistaCare Hospice. He was interred at City of Levelland Cemetery, Levelland, Hockley County, Texas. 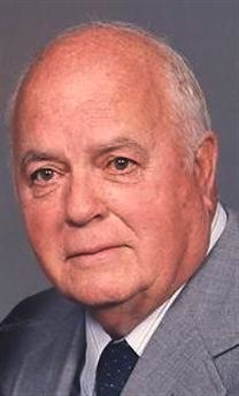 The following appeared in The Kingwood Observer: Morris Jasper Grizzle went to be with his lord on August 28, 2010 at 8:45 am in the Carillon VistaCare unit in Lubbock, TX at the age of 83. Services will be 2:00 pm Tuesday, August 31, 2010 at George Price Funeral Home Chapel with Bro. Clifton Igo officiating. Burial will follow at the City of Levelland Cemetery under direction of George Price Funeral Home. The family will receive visitors on Monday, August 30, 2010 from 6 – 8 pm at the funeral home. Morris was born in Mount Calm, TX to C. G. and Martha Grizzle on February 25, 1927. He married Norma Whitfield on October 1, 1948 in Hobbs, NM. They lived their lives together in Lamesa, TX where he retired from GTE after 38 years of service. He is preceded in death by his wife Norma Grizzle and daughter Robbie Ann, his parents, three brothers, and three sisters. Those left to cherish his life are his daughters Kathy and husband Darwin O'Blad of Washington state and Mae Beth and husband Mike Collins of Levelland, TX; his grandchildren, Kelly and wife Lori O'Blad, Cindy and husband Sean Maben, Robin and husband Scott Nelson, Kendra and husband Chase Lane, Myka Collins and seven great-grandchildren; his sisters, Margaret and husband James Stephens, Lee Youngblood, and Martha Tedder. The family would like to thank Dr. Floyd Pirtle and the VistaCare Hospice and Carillon in patient unit for all the care, love, and support they gave us in our time of need.